One of our most popular products, the hanging glass succulent that comes with a range of pink, yellow or blue dipped simple macrame hanger. We make a range of kokedamas or moss balls if you'd rather. They can hang or they can just sit at your dinner table quietly. They come in a range of colours and succulents. They only need a dip water once in a while, low maintenance just like the way we like it. 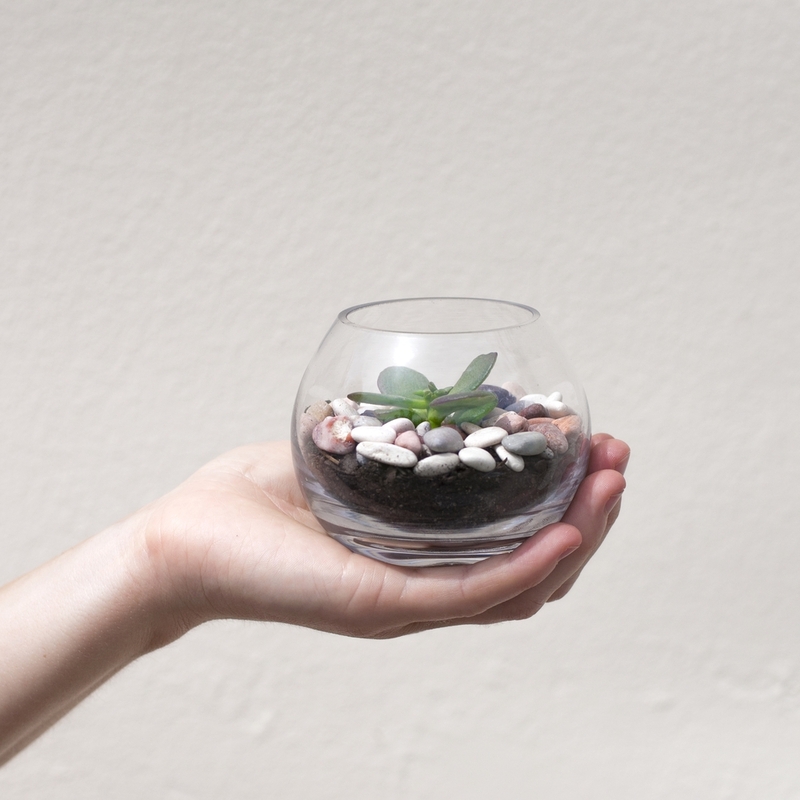 These little terrariums are only 8cm wide and are perfect for kid's bedrooms or maybe your desk. There is always something going on in there whether is feeding time for dinosaurs or a shoot out in the wild west, we hope they spark your imagination. Be inspired by our terrariums with wise words of inspiration. If ever you need that pick me up, all you need to do is take a look at our inspirational terrariums. They make awesome desk or mantlepiece buddies and measure approx 15.5cm wide and 12 cm tall. Recycled from a pallet, given new love by an electric saw, nails and some paint. Happy to live indoors or outdoors, they instantly brighten up any setting. 30cm wide, 15cm deep and 15cm tall. Photography courtesy of Sam Lawrence.